New! Create a bin collection schedule and get reminder notifications. Keep up to date with all the latest news in your area. Stuck for something to do? See events happening near you. Find out who your councillors are and how to contact them. Report missed bin collections, fly tipping, abandoned vehicles and more directly to your council. MyLocalGov works out the local council based on your location and switches between councils when you move from one area to another. You can see a list of councils available on MyLocalGov. We're adding new councils to the app all the time. 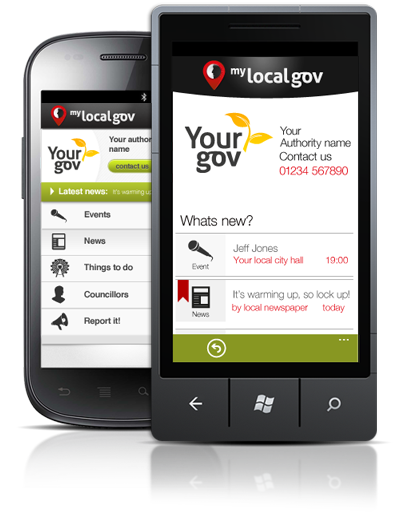 Follow MyLocalGov on Twitter for all the latest news and updates. "...so helpful, great for keeping up to date with local news. Reporting issues is easy. I will definitely recommend it to friends and family."